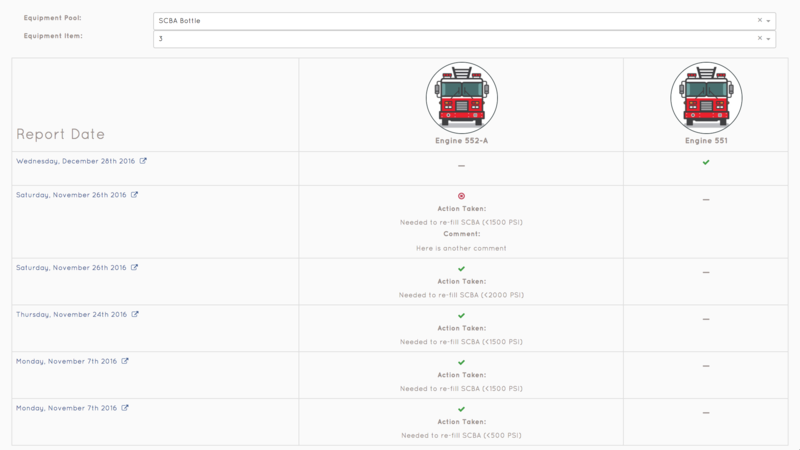 The equipment report will allow you to look back in time at a single piece of equipment to see its history of passing and failing checks, as well as any actions taken to repair it during a check and comments left. 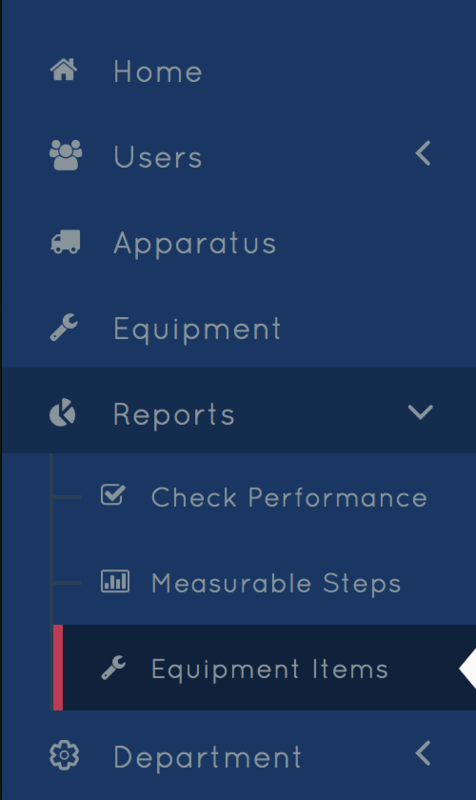 To view a report of a given piece of equipment, first expand the 'Reports' tab and click on the 'Equipment Items' link. Once on the page, select the Equipment Pool and Equipment Item you would like to view and the report will appear. Notice there is a column for each truck. For equipment items that move between apparatus, this will help you quickly find the last time a given piece of equipment was seen. For equipment items assigned to a truck, you should only see one column. To view a specific Report in more detail, click the respective Report link on the left-hand column.